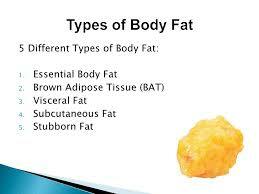 Body fat signals the brain affecting stress and metabolism. The University of Florida Health has released a new study specifying that body fat is linked to how the brain deals with stress and metabolism. This is the first study to differentiate the fat to brain network and is published in the Psychoneuroendocrinology journal. The network is linked to obesity and the desire to eat more and drives the way the body responds to stress. The researchers used a mouse model and found that steroid hormones known as glucocorticoids activate their receptors within fat tissue in a way that affects a main component of the metabolic stress response. A unique connection between glucocorticoid signaling in fat tissue and the brain’s regulation of energy balance and stress response was found. The glucocorticoid receptor in fat tissue can affect the way the brain controls stress and metabolism. Initially, such signals from the receptor can be lifesavers, directing the brain to regulate its energy balance and influencing stress responses in a beneficial way. Glucocorticoid signaling is crucial to regulating the hypothalamic-pituitary-adrenal axis, fat tissue can directly affect central nervous system functions that link obesity, metabolic disease and stress-related problems. “It moved our understanding of stress control to include other parts of the body. Before this, everyone thought that the regulation of stress was mainly due to the brain. It’s not just in the brain”, said James Herman, Ph.D., a co-author of the paper and a professor in the department of psychiatry and behavioral neuroscience at the University of Cincinnati. “This study suggests that stress regulation occurs on a much larger scale, including body systems controlling metabolism, such as fat,” Herman said. The scientists have revealed that the stress response in the short term is adaptive and helps people cope with stress. The fat to brain network is a new metabolic pathway linked to an increased stress response affecting obesity, metabolic disease and stress related problems. “The big question is the nature of that signal to the brain. We need to learn how to go in and break that cycle of stress, eating and weight gain,” Herman said.